Christmas trees are one of the most enduring traditions of christmas. A Christmas Tree, Yule Tide Tree or Tannenbaum which is German for pine tree or fir tree really is a part of Christmas Tradition. And real christmas trees, both cut and living are all the rage. The traditional pine tree is widely used in Australia, however a few other options exist. 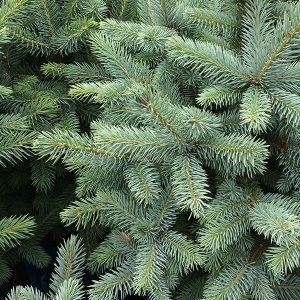 Species such as Picea pungens ‘Blue Star’ work well, as do the Norway Spruce, a traditional type that is used in the UK and Europe. 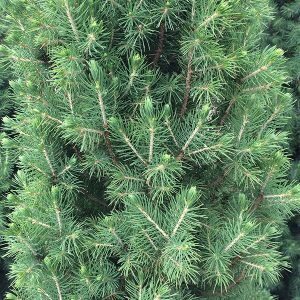 The old fashioned cut pine tree is still widely used, field grown they take a few years to get to size and are simply cut with a chain saw ready for you to take home. In general you pay by the metre. As soon as you get the tree home you need to freshen the base cut, and get the tree standing in water. These cut trees will drink a lot of water, so keep an eye on it. If the water runs out the tree will lose needles fairly quickly. Cut trees are available for sale from Christmas Tree Farms, Nurseries or Roadside stalls. Start looking to buy in the first week of December for the best shape and quality. Regarded as a little more ecologically friendly than the throw away field grown christmas trees, these trees are grown in pots and can be used for a number of years. The fact that they are grown in pots means that the root system remains smaller and constricted. Sort of a natural bonsai. Although with living Christmas trees you are usually looking at conifer trees of some sort a few interesting options are appearing. The Wollemi Pine is one such option, it can be grown in a container for a number of years, and is an AustralianNative tree. You will need to repot a living christmas tree every 2 -3 years to keep it happy. Try not to over fertilize, and remember to water well over those hot months after an Australian Christmas. Living Christmas trees are available for sale from Nurseries. Christmas Trees are usually a conifer of some kind, living christmas trees can be kept in a pot from year to year. A cut tree needs to be freshly cut, check to see if the base is still sappy, cut trees need to stand in fresh water to survive. LOOKING FOR A LIVING CHRISTMAS TREE? LOOKING FOR A CUT CHRISTMAS TREE FARM ? Wide range of christmas trees for sale in December each year. 61a Lower Somerville Rd Sommerville. 6 Nambia Rd Duffys Forest.